According to the USDA the term “sustainable agriculture” is defined as: “The practice of agriculture which supports sustained economic profitability, sustained quality and well-being of the environment, efficient use of natural resources, and the overall quality and availability of food and fiber for mankind.” Here are a few organizations helping create sustainable agriculture. Who they are: Heifer International (HI) seeks to end poverty and hunger by helping small-scale farmers across the globe become self-sufficient. HI’s programs, which vary from region to region, bring producers the tools, resources, and knowledge they need to gain a reliable income and bring economic prosperity to their communities. Latest project/campaign: Heifer International has several ongoing projects. Annual budget: $123,248,927 (IRS Form 990 for 2015). Interesting fact about how they are working to improve the food system: Rather than bind impoverished farmers into cycles of dependence through charity, Heifer International creates holistic, community based programs to bring prosperity to the area. To date, HI has worked in 125 countries and helped 25 million families achieve economic independence. What they do: Rodale Institute promotes organic agriculture through research and community outreach programs. The Institute shares its findings with farmers, scientists, consumers, and policymakers in order to spread awareness of the benefits of sustainable methods of food production. Major funding: Rodale Institute is primarily funded through grants, federal awards, and individual contributions. Interesting fact about how they are working to improve the food system: In addition to supporting established organic farmers, Rodale Institute has created programs that provide education and training for conventional producers to make the switch to more sustainable methods of agriculture. What they do: Savory collaborates with entrepreneurs (Savory Hubs) around the world to facilitate the dissemination of the Holistic Management of resources among land managers and achieve large-scale regeneration of the grasslands of the world. Grasslands are a vast source of food, water and biodiversity, and their soils can hold great amounts of carbon when properly managed. The Savory Institute is the strategy division of Savory Holistic Management: They spread awareness, inform policy, and coordinate relevant research towards the influence of land use. Latest project/campaign: The Consumer Revolution: Eat it. Wear It. Regenerate it. Email and phone: contact@savoryinstitute.org, 303-327-9760. Interesting fact about how they are working to improve the food system: Savory’s innovative method of using properly managed grazing animals as a tool to restore the inherent fertility of land by moving carbon and water from the atmosphere back into the soil reverses the tide of human damage to the environment and promotes a healthy, regenerative food production system. 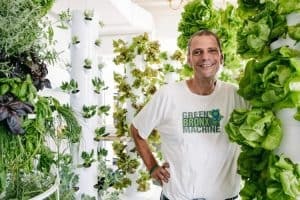 What they do: Stone Barns Center for Food and Agriculture is working to change the way America eats and farms by promoting sustainable agriculture and mindful food choices. Stone Barns Center is an 80-acre working farm in the Hudson River Valley, just 25 miles north of Manhattan. Most of the farm’s produce and meat are sold to Blue Hill at Stone Barns, the award-winning onsite partner restaurant and café, and through Stone Barns Center’s Farm Store. The rest is used in education programs, as visitors cook with and taste what’s grown here. Experimenting with and improving agroecological farming practices. Training beginning farmers in resilient, restorative farming techniques. Educating food citizens about the sources of healthy, seasonal, and sustainable food. Demonstrating and promoting a farm-driven cuisine—eating and cooking foods that reflect what farms need to grow to maintain ecosystem health. Latest Project/Campaign: The Mobile Kitchen Classroom is a semester-long course that aims to empower urban high school students to become food citizens by increasing their knowledge of mindful food choices and teaching them to prepare fresh food. Its innovative curriculum focuses on making the connection between food and culture, food and nature, and food and power—crucial context for young adults to become empowered advocates for food system change. Major Funding: More than half of their support comes from philanthropic gifts and grants from individuals, corporations, and foundations. The rest comes from the sale of farm products, program fees, and rental income. 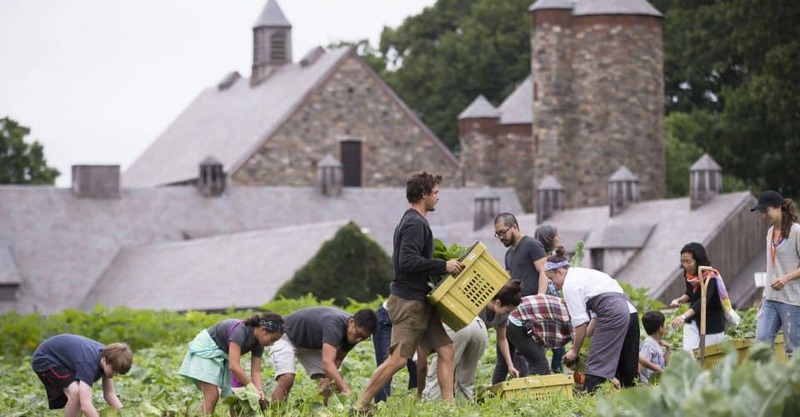 Interesting fact about how they are working to improve the food system: More than 1 million people have visited the Stone Barns Center since it opened to the public in 2004. The farm and education center are a laboratory for resilient, sustainable agriculture and for ideas that can create a new food future—one that is better for people, communities, and the environment. Farmers, chefs, and educators experiment with new breeds of drought- and disease-resistant vegetables and fruits; with better ways to raise pastured poultry; with tools that are designed just for small-scale, diversified farmers; and with delicious foods and ways of cooking that sustain a farm’s ecosystem health.